We all have dreams and passions. But how do we actually make them happen? We are just so busy surviving that we sometimes forget living. Really living the life we always dreamed of….but how do we pursue our dreams? 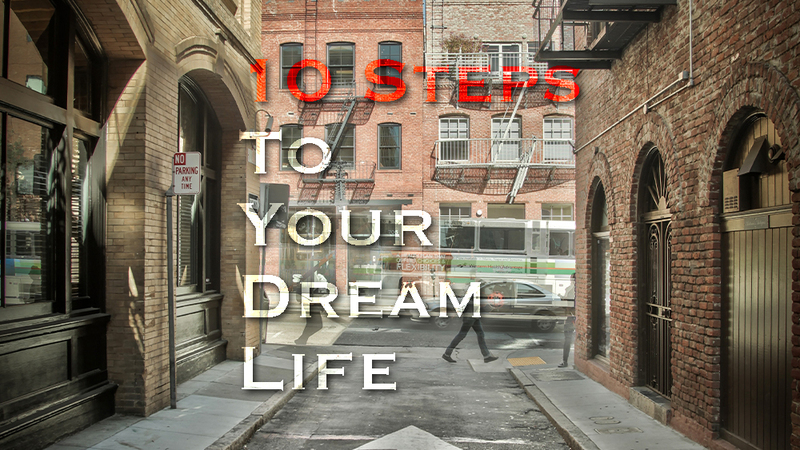 1: Have a clear picture of how you envision your dream life. Be clear on what are the elements that make up your dream life. Areas like: Job,friends,social life,faith,family,home,etc. Make note of what you think will equal your dream life. 2: Now write down and describe what would it take to get there. What hurdles are in the way? What do you need to do to get to the next step? Anything you would like to learn that might help? 3: Change the things you can. Make the changes that will help you. If your job is pulling you down then look to change it, but don’t leave till you have your new job to go to. Start building that business you always dreamed of owning. Get financial advice if finances are holding you back from your dream. My point is change what you can and gain some momentum. What you think defines what you become. Read, learn, study how you can be the best version of you possible. If you suffer from depression, low self esteem, or something that holds you back then work to change it. It may be difficult, you may need help, but don’t continue as you have been. Do it for you, there is always hope. 5: Here is what would help 99.9% hit their dreams. Exposure to new people. This means social growth which means new perspectives, personal growth and new ideas. Get around those that challenge your thinking. Get around the people you can learn from. Have somebody you can chat to you whom has a positive attitude. Somebody you can trust and gain advice from. Email me if you need somebody to bounce ideas off. 7: You are worth it. No it’s not a shampoo advert. But YOU are worth it, you deserve to have the best life possible, you deserve to pursue your dreams and don’t ever allow somebody to put you down or tell you that you can’t. Just have some faith that things will work out. Don’t waste time and energy on worry, for worry won’t help or change anything. Just believe in yourself. A real key to a dream life is a life that you embrace with the good and the bad. Things may not always work out, but the hallmarks of true success in life is being happy right now. Enjoy the the good moments and don’t dwell on the bad ones. Life is an adventure, and it ain’t always easy. Gain perspective and keep whats important, important. I hope this helps and please share this article and feel free to FREE SUBSCRIBE to my newsletter.